Sol-Land 86 is a Sons of Norway lodge serving the sunny Tri-Cities and Walla Walla, Washington area. 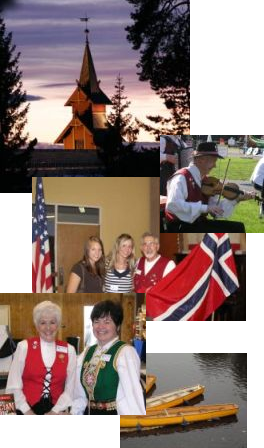 The lodge promotes and preserves the culture and heritage of Norway through heritage meetings, classes, public events and community service. The lodge members are a diverse and interesting group of people sharing a common love for Scandinavian culture, music, art, crafts, dancing and food! The lodge has a long history with the Tri-cities, celebrating its 43rd anniversary in the Tri-Cities this year. The lodge holds its monthly heritage meetings at the First Lutheran Church at 395 and Yelm in Kennewick (see map. If map doesn't appear (click here). A complete calendar of meetings and events can be accessed by clicking this link to the calendar page . Sons of Norway was organized as a fraternal benefit society by 18 Norwegian immigrants in Minneapolis, Minnesota, on January 16, 1895. The purposes and goals of the Founding Fathers were to protect members of Sons of Norway and their families from the financial hardships experienced during times of sickness or death in the family. Over time, the mission of Sons of Norway was expanded to include the preservation of Norwegian heritage and culture in our Society. We have grown since our beginning and are now the largest Norwegian organization outside Norway.